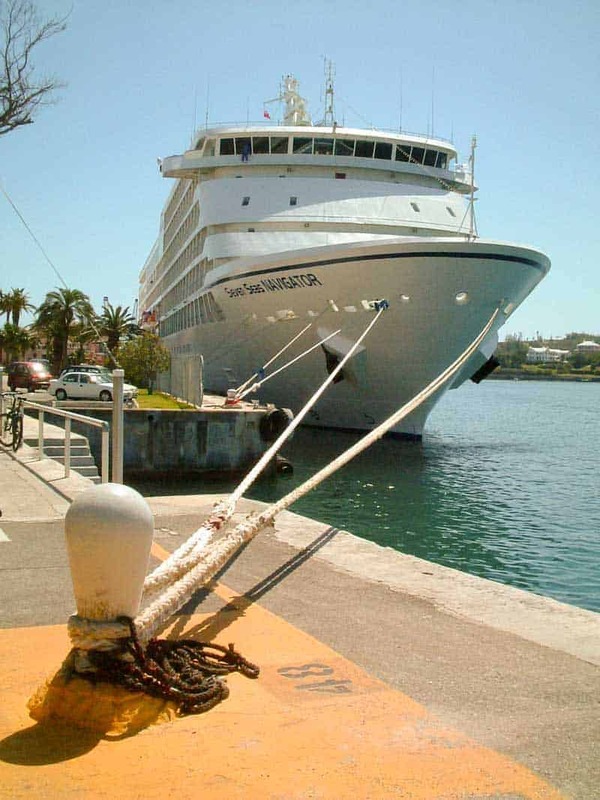 Bermuda 4u > Frequently Asked Questions > What happened to the cruise ships that used to dock in Hamilton? Hamilton is Bermuda’s waterfront capital and centre of government. Until 2007 it was used by many of the big cruise lines for their scheduled cruises. Ships such as Royal Caribbean’s Empress of the Seas and NCL’s Norwegian Crown used to dock here. From around 2008 onwards the big cruise lines serving Bermuda began to introduce larger ships that couldn’t berth at Hamilton’s small docks. All of the regular, contracted ships moved to the larger berths at Royal Naval Dockyard (King’s Wharf and Heritage Wharf). A handful of smaller ships still cruise to Hamilton. In 2017 they include the Veendam (six cruises from Boston). The Veendam is one of Holland America Line’s cruise ships. She has a passenger capacity of 1,350. In 2017 her schedule includes six 7-night cruises from Boston to Bermuda. Departure dates are May 13, 20, June 10, 17 and July 8, 15. The ship leaves Boston on Saturday at 4 pm and arrives in Hamilton at 1 pm on Monday. After spending three nights in port, she departs on Thursday at 1 pm, arriving back in Boston at 7 am on Saturday. Cruises on the Veendam are best suited to those wanting to visit Bermuda on a cruise ship but avoid the crowds at Royal Naval Dockyard. The ship is more intimate, leading to a higher level of camaraderie between passengers. Hamilton occupies a more central location on the island than Royal Naval Dockyard. It offers quicker access to most areas of Bermuda. Hamilton Bus Terminal and Hamilton Ferry Terminal are within easy walking distance of the dock. Attractions in the city include the Perot Post Office, Queen Elizabeth Park, Bermuda Cathedral, and the Bermuda National Gallery. The city also offers the island’s biggest choice of restaurants, bars, and pubs. Find out which cruise ships sail from Baltimore to Bermuda.